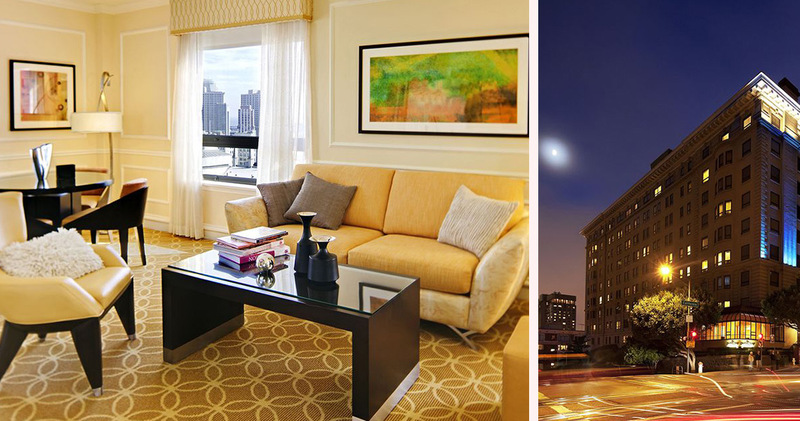 Located on Nob Hill, Stanford Court offers easy access to Union Square and Chinatown. 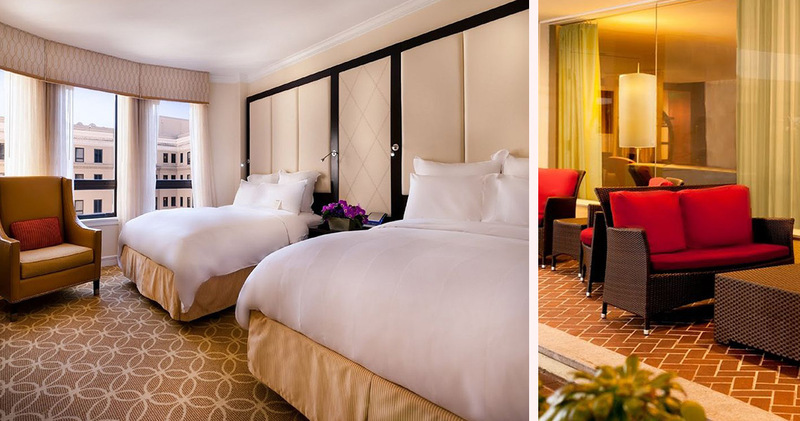 This boutique hotel has a classic, sophisticated decor with muted colors, elegant furnishings and plenty of comfortable seating. The lobby displays creative artwork from local artisans. Outside is a Tiffany-style glass dome and water fountain, creating a very classy vibe. 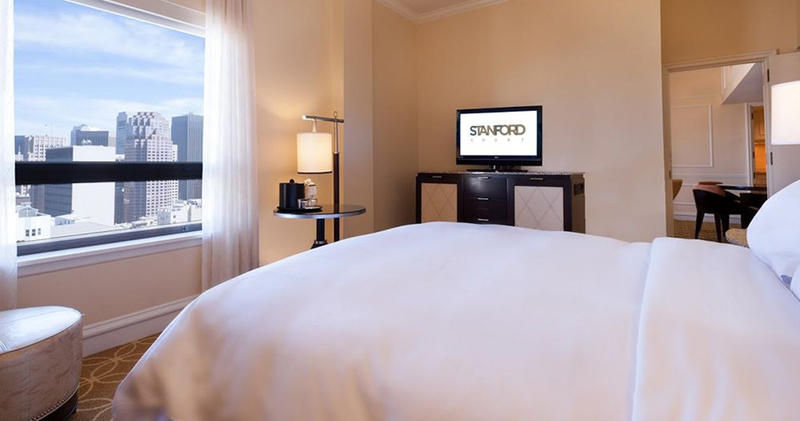 Stanford Court San Francisco offers guests an impressive collection of digital amenities, including complimentary iPad Minis, iPads and MacBooks. Other amenities include the Google Glass Explorer program and an electric vehicle charging station. 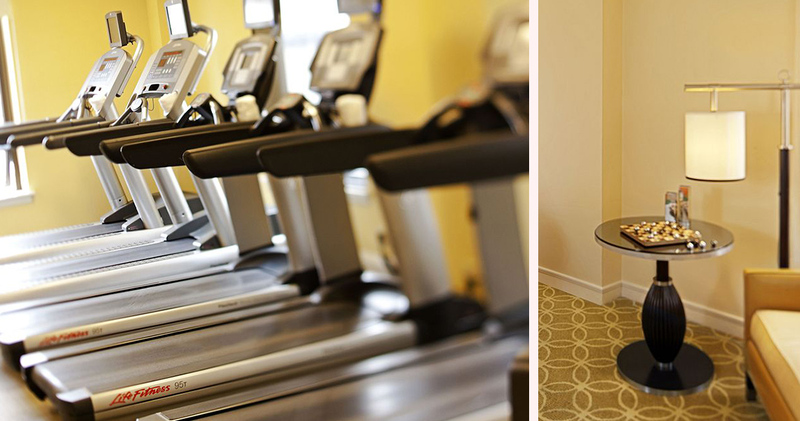 There are six complimentary bikes available at the hotel for street use. 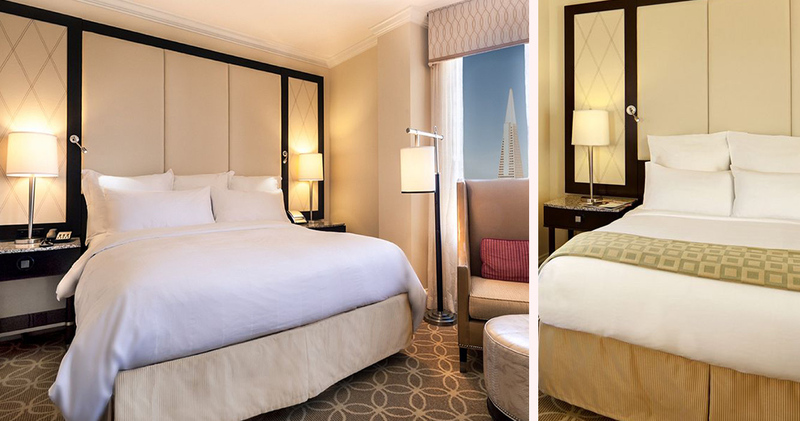 The guestrooms at Stanford Court feature sophisticated, classic decor. 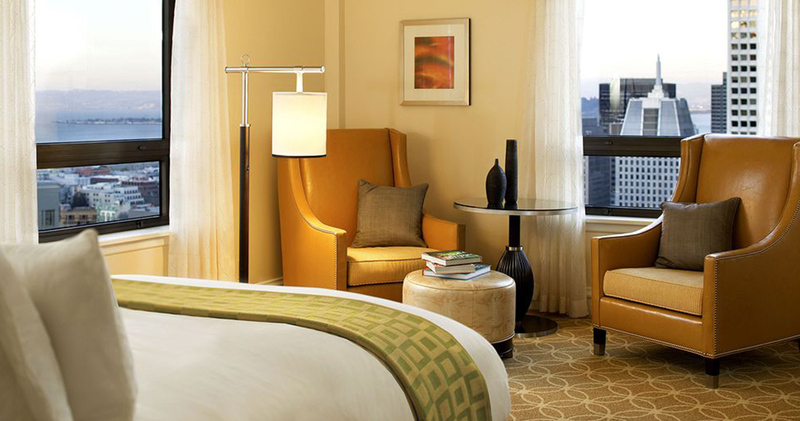 Rooms are decorated in warm colors and golden hues, with rich dark wood furnishings and high ceilings. 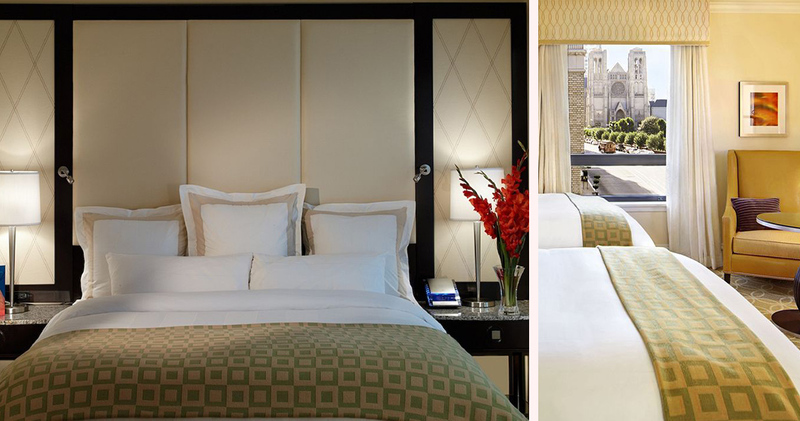 The exterior rooms offer breathtaking views of the city. The beds are comfortable and inviting with luxurious Serta Perfect Sleeper mattresses, 300-count, 100% cotton linens and plush, goose down comforters. Stanford Court San Francisco rooms also include a large work desk and comfortable armchair. 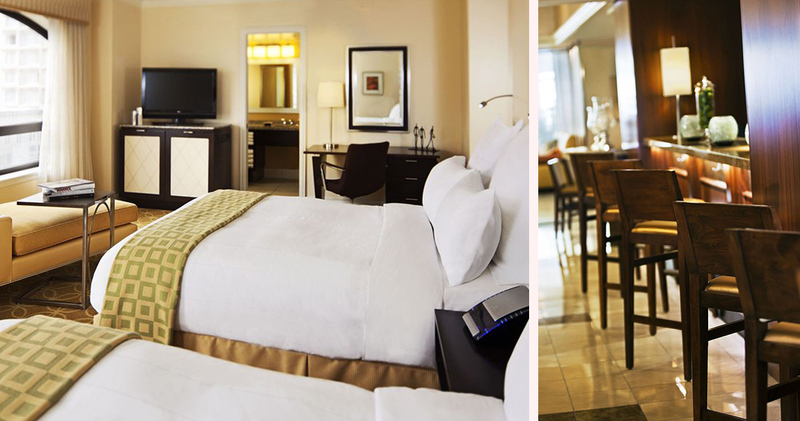 The bathrooms are spacious and elegant and feature luxury Pure bath amenities and a towel rack warmer. The menu of Aurea Cafe & Lounge at Stanford Court features ingredients sourced from local farms, brewers and artisanal producers. The cafe is stylishly decorated with muted colors, soft gold highlights, glass domes and leather booths. The cafe serves Equator organic coffee, fresh pastries, organic juices and artisanal brews.